One&Only Palmilla commands the choicest locale in all of Baja California, on land that enjoys a rich and storied history dating back millions of years, when volcanic movement and earthquakes split a 1,100-mile-long finger of land off mainland Mexico. 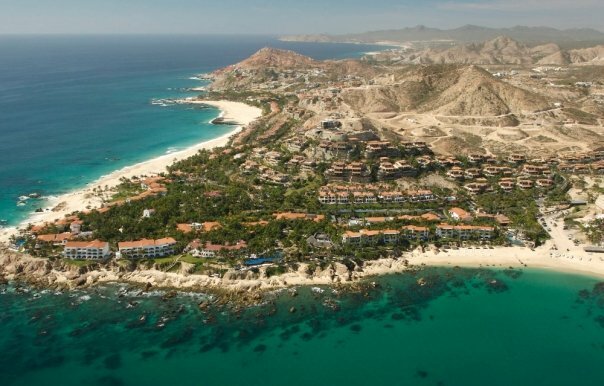 Los Cabos (Spanish for ”the capes”) survived merchants, explorers and pirates to later welcome celebrated authors and biologists intrigued by the rich marine life in the Sea of Cortez. 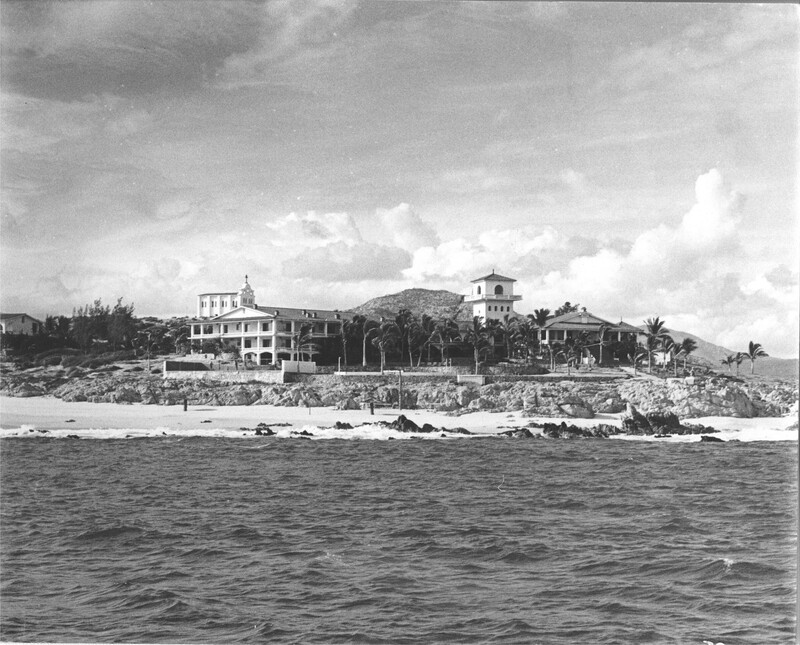 Don Abelardo Rodriguez, the pioneer of tourism development in Los Cabos and son of General Abelardo Rodriguez, interim president of Mexico, founded Palmilla in 1956 with 15 guestrooms. Early guests had to arrive by private plane or yacht and the intimate resort quickly became a favorite among celebrities and dignitaries such as John Wayne, Bing Crosby, Lucille Ball and Desi Arnaz, Dustin Hoffman, Ernest Hemingway and President Dwight D. Eisenhower. By 1984, the property had been expanded to 53 guestrooms, with another 18 added shortly thereafter. In 1993, the Palmilla Golf Club, the first signature Jack Nicklaus golf course in Mexico, opened at Palmilla and, in 1996, the property was again expanded to 115 rooms. Palmilla closed in April 2003 for an extensive rebuilding and expansion project that brings the resort’s total guest accommodations to 173, 61 guest rooms, 91 junior suites and 20 one-bedroom suites, all incredibly spacious and each with magnificent views of the Sea of Cortéz. The resort features 173 spacious rooms and suites, each luxuriously appointed including our new Pool Casita Junior Suites with ocean front infinity pool, Master Pool Suite with surrounded infinity pool, whirlpool and entertaining open terrace, Villa Cortez, a four-bedroom sophisticated and meticulously designed residence featuring media room, gym and spa suite for the ultimate luxury and privacy all offering magnificent views of the Sea of Cortez. You can relax at the indoor/outdoor One&Only Spa by ESPA, renowned as Mexico’s premiere destination spa. The One&Only Spa at Palmilla offers an expansive programme of ancient healing techniques combined with cutting-edge therapies. Pampered guests choose from a rich menu of Massage Therapies, Wellness Experiences and One&Only Palmilla Signature Rituals for an unrivalled journey of personal rejuvenation and renewal. Two pools including a children’s swimming and activity area, a new Executive Conference Center, and the property’s renowned Chapel, which makes One&Only Palmilla a favorite for weddings. The signature Jack Nicklaus course offers challenges and delights. Divided into the Arroyo Nine, the Mountain Nine and the Ocean Nine, the par-72 course features 27 holes on stunning fairways of more than 7,000 yards. Five sets of staggered tee boxes, four lakes and deep shifts in elevation ensure golfers of every skill level a memorable and exciting game. Palmilla Golf Club has been rated as one of the top 100 in the world by Great Golf Resorts of the World. Palmilla One&Only is where warm waves break onto a dramatic shoreline… and grey whales can be seen rising majestically in the distance. Here, the gracious style of old Mexico with its red-tiled roofs, whitewashed walls, and idyllic setting of exquisite fountains – is quietly nestled amidst swaying palms, bird of paradise and other tropical bloom. This is where exhilaration and serenity thrive in blissful harmony. This is One&Only Palmilla.